Welcome to season 2 of Code and Coffee Talk! In this episode Jess is breaking down the 5 systems you should have running right now. Having at least these 5 systems running on autopilot helps build brand awareness, sales and marketing organically. We will run through sample funnels of how you can use these in a product or service based business. Grab your coffee and let's get started! Welcome to the second season of Code and Coffee talk with Jess the Techpreneur, thank you for listening! We will be starting the season off with our first series: Building funnels. The building funnels series goes over the different types of funnels/ systems you should have running in your business. Each funnel has a single goal that is being accomplished along with a complete breakdown of each. This series is designed to help solopreneurs and side hustlers create systems in their business that automate the tasks needed to increase more sales. I didn’t plan at first to start with this series but here it is! During the next 4 weeks we will go over 4 different funnel types: appointment booking , client on-boarding, feature service and lead generation funnels. In each episode, I will go over the funnel breakdown, how to implement it in your business, and what tools you need. Each week a video tutorial will be released to help walk you through visually how to build each funnel and setup them up. As a solopreneur a lot of the business related things I am accomplishing on my own, and sometimes a couple of things that I would love to do I just didn’t have the time. One of those things was creating a podcast to help other solopreneurs and side hustlers who wanted to do the same. I did a lot of research and I came across Anchor. Anchor is a one-stop shop for recording, hosting, and distributing, your podcast. Best of all it’s 100% free, and ridiculously easy to use. And now, Anchor can match you with great sponsors who want to advertise on your podcast. That means you can get paid to podcast right away. In fact, that’s what I’m doing right now by reading *this* ad! It took less than a minute to set up and start rolling, you can get started right now by visiting anchor.fm/start. Now let’s get started! Every business uses systems or funnels for various tasks such as lead generation, content creation, engagement and sales. When used correctly you can automate so many parts of your business to work for you while you are working in your business. Today I want to go over five systems you should have running right now in your business. Having these systems or funnels in place, you will see an increase in your views on your website, sales and email signups. With your products/ services being marketed without you, you have more time to work in your business instead of on your business. In business you always hear about the proven system the fail proof system and so on. But what they don’t tell you is that it doesn’t matter the steps in the system but the execution and the outcome. A system is a set of connected things forming a complex whole, in particular. In knowing this, the systems you have working for you in your business need to complete a goal for you. 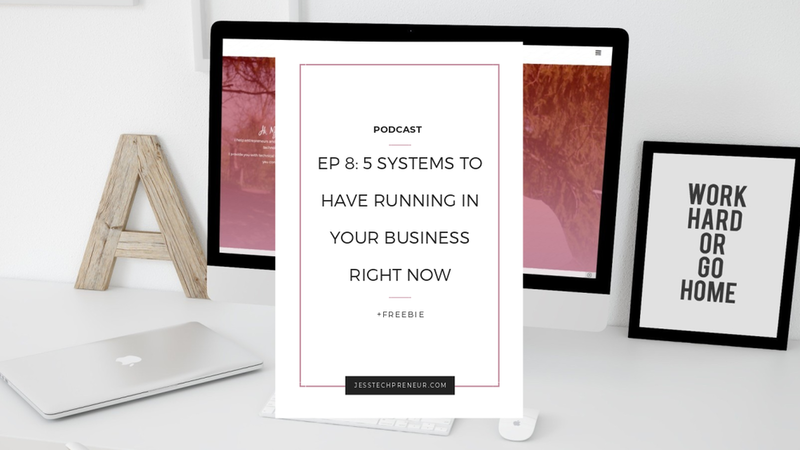 So the best place to start is to identify which systems you need to having running in your business especially solopreneurs and get them implemented. The first system you should have running in your business right now is a customer on-boarding funnel. The goal of this system is to take a customer from cold to paid. Customer on-boarding is one of the most profitable systems that you could have working for you in your business. In most times this system is the main pipeline for most businesses in existence right now, so you need to make sure that every step in this system is solid and on target because without it your customers can “get lost” and end up never converting. Potential customer lands on your website looking for a product, on your product page they are able to read all of the reviews, ingredients and description. They go to leave your page, but they are greeted with an exit intent pop up offering them 10% off their first purchase. They sign up for the 10% off coupon, now they are on your email list. Customer adds coupon code to cart and sees a upsell to add $5 more dollars to the cart for free shipping. Over the next 7 days, they receive emails to educate them on the products they purchased, product they should also try and a new coupon code for their next order. 14 Days after product received, they receive an email asking for a review on the purchased products. At the end of the funnel, you have a new email subscriber so you are able to continue marketing to them, a sale and with the new coupon a returning customer. Implementing just these couple of emails will give you ongoing sales and social proof without you having to remember to send the actual email at the right time. Once you have your on boarding system in place the next system is customer engagement. Half the battle is won getting your target audience to your website, but once they are there you want to make sure you engage with them. There are two ways that you can engage with your visitors: One you can add a chatbot to your website so that your visitor can get any answers that may not be included on your FAQ page. It also makes you more accessible to you and your team. You can add a chat bot to your website using ManyChats, you are able to build out different menus and automations to engage and inform your audience. If you have a product based business, you can also add a loyalty program. Depending on your website platform, you can get started fairly quickly. The goal of this system is to educate your potential customers on your feature product or service. The service or product should be something you can confidently sell. You want to build out this system to help educate and hard sale a product or service that you know will benefit your audience. With this system you will automatically bring in purchases and email subscribers for your feature product/ service. System 4 that you should have running in your business is an appointment booking funnel. The goal for this funnel is to take a potential customer/ client from a website visitor to a booked client. Most service based businesses have a single entrance point that users always complete for any service type. For coaches/ designers/ VA’s its most times a discovery call. For in person service providers such as personal trainers/ cleaning companies / construction companies its usually a consultation. This is done because most times a potential customer who has found you has no idea what they really need and having this initial call helps direct them to what they actually need. After your visitors figure out what they need they have to book you. This is where the appointment funnel comes in at, you can create your appointment booking funnel so that they can book, pay and reschedule appointments without the game of phone tag. A sample funnel would be:: visitor comes to your website, sees your book now button, selects a time/date, fills out a questionnaire with information related to the job, submits payment and waits for you to show up. System 5 that you should have running in your business is a lead generation funnel. Just like in system 3: feature service/ product funnel where it was an email based system. This funnel will work the same except we will also focus on how to get those subscribers to your list then build out an automation to nurture your new subscribers. The goal of this funnel is to take your website visitors off of your website and into your email list where you don’t have to figure out how to get back on your website. You are invited to educate and market to them as soon as they give you that email address. First we will need a piece of content that will be used to build out the funnel. We will break it down into 3 to 4 emails that will be automated to a selected group of subscribers that signed up for your marketing emails.. Each email will have different details to help persuade and educate the client on the importance of this service or product you will still be leading the client from cold to paid in this funnel type. An example for this system type is you write a blog post and a content upgrade is connected to move our readers to your email list. A visitor comes, reads your blog and signs up to receive your content upgrade immediately and they also receive a thank you email with the download included. After 24 hours, they receive an email from you asking if they had a chance to download it and also tells them about other resources you have based on the type of content they signed up for. 2 Days after download, they receive an email asking for feedback on the freebie. Did it help? What problem did it solve? Were you expecting anything different? 4 Days after the download, they receive an email that includes a tripwire offer. A tripwire offer is something that is a no-brainer sale. Something that is low cost, under $10. 7 days after the download, you send an email that includes a upsell to the resource they downloaded. It can be a service you provide or resource. With this you will constantly be providing value to your visitors and helping them understand something they are having a problem with. Usually with blog post, there is the application part that is left out of the post so the content upgrade will really bring it together. So those are the 5 systems you should have running in your business today, each one has a single goal and point of conversion. With them running you will constantly have your products, services and resources marketed to your warm leads. With the on-boarding system, you are taking your cold visitors to paid informed clients. They will know exactly what to expect and what they need to do when working with you. With Customer engagement system, you have a number of ways to connect with your audience in a way that is rewarding for you and them. With feature service/ product system, you are educating your email subscribers on the benefits and solutions you are providing with some social proof pieces. With appointment booking funnel, you are taking your cold visitors to book an appointment with you for services whether it is a strategy call, cleaning services, coaching call, or contractor consult. And finally lead generation funnel, where you are giving free resources to your blog readers that are connected to your selected service.